-Compact design requires less floor space. Makes the take-out process more easilier. 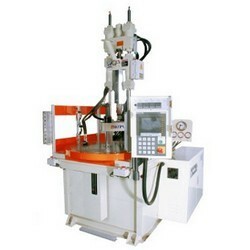 -Suitable for multi-purpose injection molding. Excellent for insert molding. *Optional Feature : High-speed injection unit utilizing closed-loop system.